A simple three-ingredient substitute for Baker's Joy, the baking spray I've relied on for many, many years. If you've got cake plans for Easter, give this easy mix a try. Join me in ditching the Baker's Joy! In a rush of baking last week, my usually well-stocked pantry failed me. At every turn, some critical ingredient was in short supply ... or entirely o-u-t out. Some substitutes came easily. Brown Sugar. Potato Starch. Baking Chocolate. But a good substitute for Baker's Joy left me stymied. A double batch of Spiced Honey Cake batter was already mixed and I well remember that even with Baker's Joy, some times the sweet cake is finicky to release. I had little confidence that even an extra-good rub of butter and flour would be enough. Enter Equal Parts Flour + Crisco + Vegetable Oil. Now for years, I've recommended Baker's Joy, especially for Bundt cakes. That's because Bundt cake pans have all those nooks and crannies and nothing-but-nothing helps (helped!) a Bundt cake release after baking like Baker's Joy. I even kept a reminder note in the Bundt pan! At the same time, over the years, I plain got tired of Baker's Spray getting old, smelling a little rancid, even though I bake a lot. And I started to question what's in Baker's Spray. Ugh. I just looked it up. Baker's Joy Ingredients: SOYBEAN OIL*, PROPELLANT ISOBUTANE, PROPANE), HYDROXYLATED SOY LECITHIN, SOY LECITHIN, ENRICHED WHEAT FLOUR (NIACIN, IRON, THIAMINE MONONITRATE, RIBOFLAVIN, FOLIC ACID), SILICON DIOXIDE, TBHQ (TO ENSURE FRESHNESS). It's so quick and easy to rub together equal parts of flour, Crisco and vegetable oil to form a smooth, spreadable paste, then just as easy to "butter" the Bundt pan with the mixture. And an hour later? That some times sticky Spiced Honey Cake released just beautifully, even better than other times when the Bundt pan was sprayed with Baker's Joy. Call me thrilled! Dare I say that I'm Baker's Joy-less but joyful? Back in January, Kitchen Parade had a complete technology overhaul. The big difference? Kitchen Parade is now mobile friendly! On the flip side, every single page needs an update that so far takes more than 82 minutes per page on average. I've invested almost 200 hours in updates in the last few weeks and about 25% of the pages are done. That still leaves a lot to go ... a quarter done is a quarter done. Good news for Weight Watchers! While updating each page, I'm also calculating SmartPoints and Freestyle points. 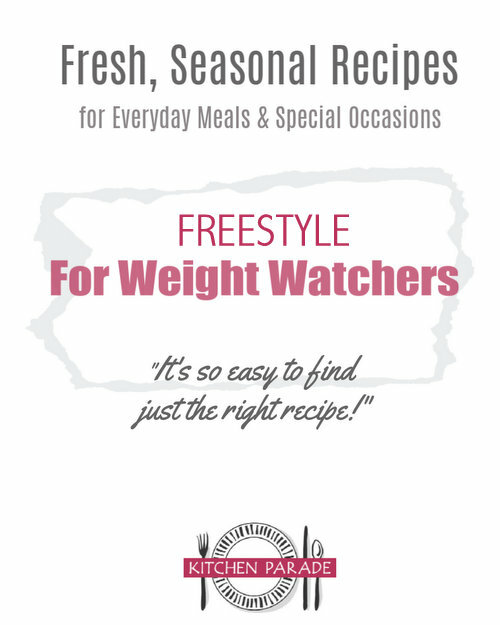 I'm just about ready to load a brand-new page of Weight Watcher recipes sorted by Freestyle points. With your fingers, blend 1 part flour and 1 part shortening (for example, 1 tablespoon of each) until the flour is well mixed in. Then mix in 1 part vegetable oil (for example, 1 tablespoon oil) until smooth and spreadable. With your fingers, spread the mixture into a baking pan where you'd usually use Baker's Joy or another baking spray. For a Bundt pan, take extra time to reach into all the tiny nooks and crannies, spreading the mixture evenly across the entire surface. Try to avoid thick floury areas. 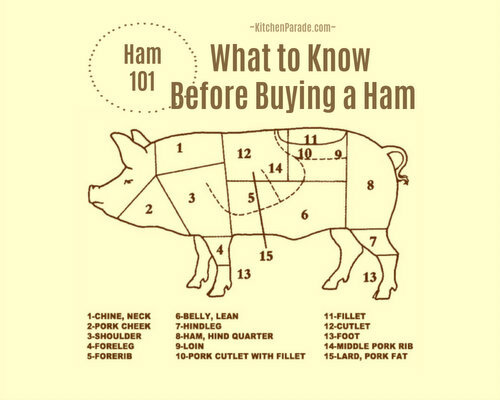 You won't likely use it all but want to have enough to easily spread around without skimping. MAKE-AHEAD TIPS Make only what you can use right away or at maximum within a day or two. The raw flour means we don't want to mix and store this mixture. ALANNA's TIPS I have the idea that solid coconut oil would work instead of shortening and melted solid coconut oil would work instead of vegetable oil. For something savory, I can even imagine using rendered bacon fat. Hmmm! Substitutes for substitutes! Shortening and vegetable oil just aren't as shelf stable as they might seem, even when stored in the fridge or in a dark, cool place. That's why I only buy the small containers of each and always keep a spare on hand. Before using either one, I give the shortening or oil a quick sniff. If it's at all "off" – out it goes and I open a fresh container.